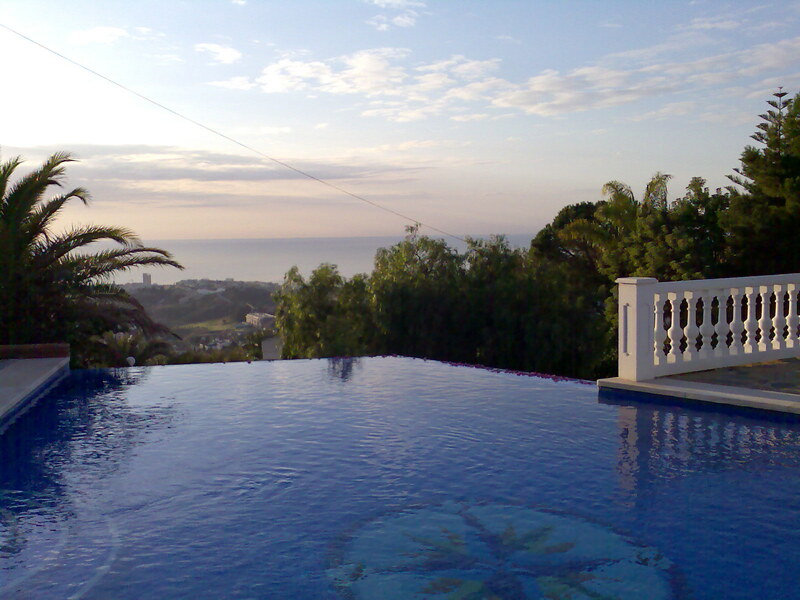 A reliable swimming pool maintenance and repair company situated in Benalmadena on the Costa del Sol since 2004, Sparkle n Ripple cover all areas of the coast from Malaga to Estepona & the surrounding inland areas. As we pride ourselves on turning up on time, doing a good job & being very reasonably priced, 95% of our work has come from customer recommendation. Give us a call or email & we can discuss your needs, we will be more than pleased to offer our assistance seven days a week. If you´re struggling to keep the pool chemicals at the correct levels or not sure what valves to turn to clean your pool, give us a call for completely free advice. We offer a wide range of all inclusive maintenance contracts starting at just 60€ per month which include all chemicals & IVA so you know exactly what your bill will be every month. Click the links on the left to see more of what we do.